What does privacy mean at UC? Privacy consists of the individual's ability to conduct activities without concern of or actual observation and the appropriate protection, use, and release of information about individuals. The University must balance its respect for both types of privacy with its other values and with legal, policy, and administrative obligations. Academic and intellectual freedoms are values of the academy that help further the mission of the University. These freedoms are most vibrant where individuals have autonomy: where inquiry is free because it is given adequate space for experimentation and the ability to speak and participate in discourse within the academy is possible without intimidation. Transparency and accountability are values that form the cornerstone of public trust. Access to information concerning the conduct of business in a public university and an individual's access to information concerning him/herself is a right of every citizen as stated in the California Constitution. safeguarding information about individuals and assets for which it is a steward. 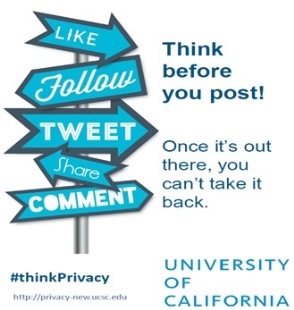 The University of California, Santa Cruz is committed to upholding each individual's right to personal privacy as articulated by the Information Practices Act of 1977. Every member of the campus community involved in the collection, maintenance, disclosure, or disposition of personal information is obligated to be informed of and comply with various laws, regulations, and university policy governing privacy.